Julie is a compelling communicator of design ideas – both graphically and verbally – and brings strong leadership to a variety of project types at Alliiance. From simple additions and remodels to large-scale planning projects, she brings a holistic, pragmatic perspective to solving complex issues creatively and practically. Julie is adept at discerning vital matters to maximize functional improvements and aligning project scope with budget and desired outcomes. After working at the Alliiance from 1994-1995, Julie returned in 2014. 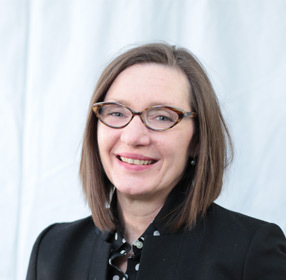 Julie is a graduate of the University of Minnesota, is a member of the 2019 AIA Minnesota Leadership Forum, as well as an adjunct instructor and guest critic at the University of Minnesota. Not only has she been recognized for her award-winning work within the profession, Julie and her architect husband received a 2018 BLEND Award for the renovation of their 1920’s home in the Fulton neighborhood of Minneapolis. Julie can be found creating naturally-leavened breads and working in the garden when she is not volunteering at her kids’ school or managing their soccer teams.